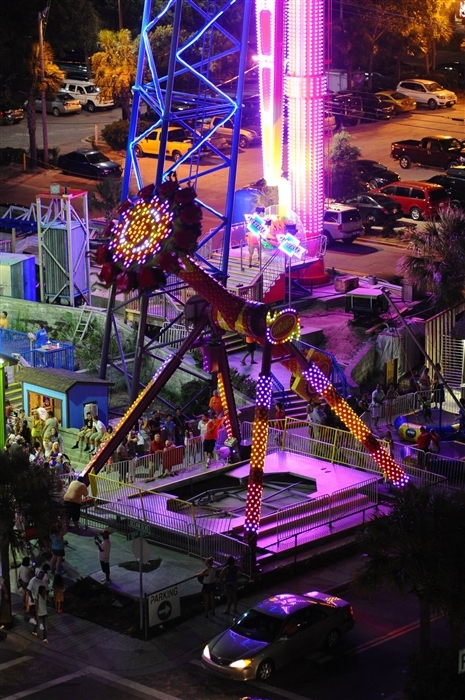 For more than 20 years, Free Fall Thrill Park has been an oceanside staple. 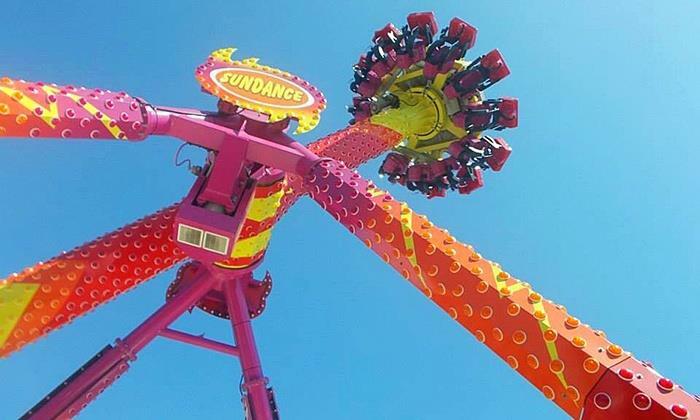 Enjoy family-friendly fun on the Airstrike, Sun Dance, and Sky Fall rides. 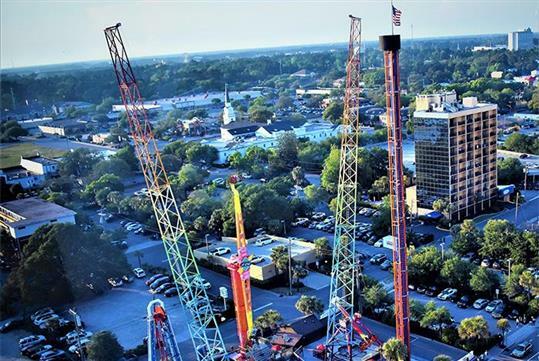 You’ll scream at the top of your lungs while having the time of your life at Myrtle Beach Thrill Rides Park. 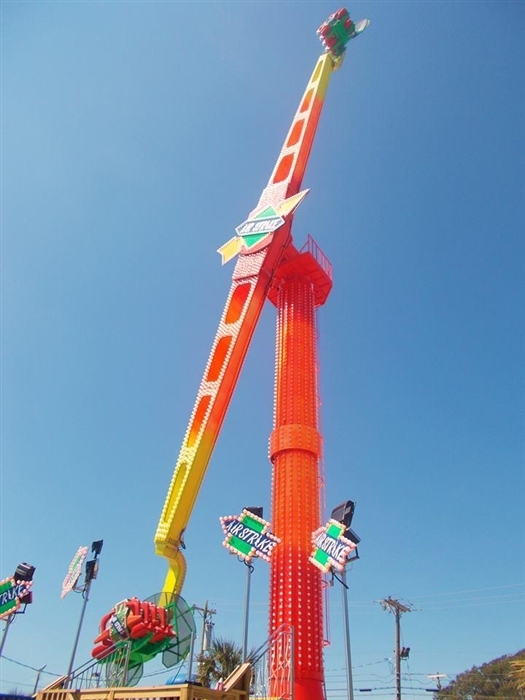 Each ride has its own unique rider requirements. Check these before purchasing. 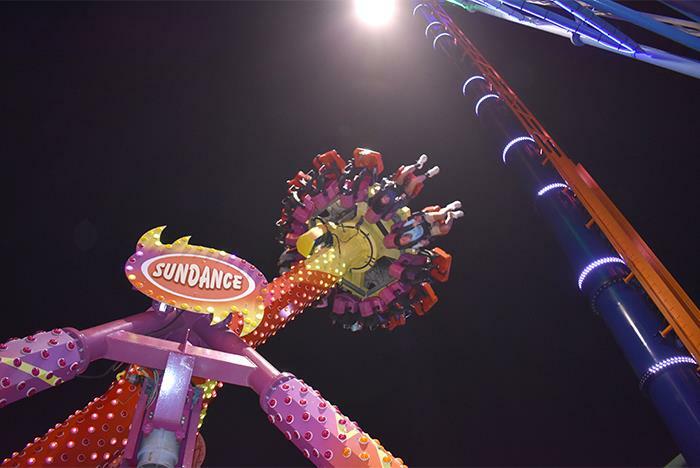 Participants must purchase tickets to ride. 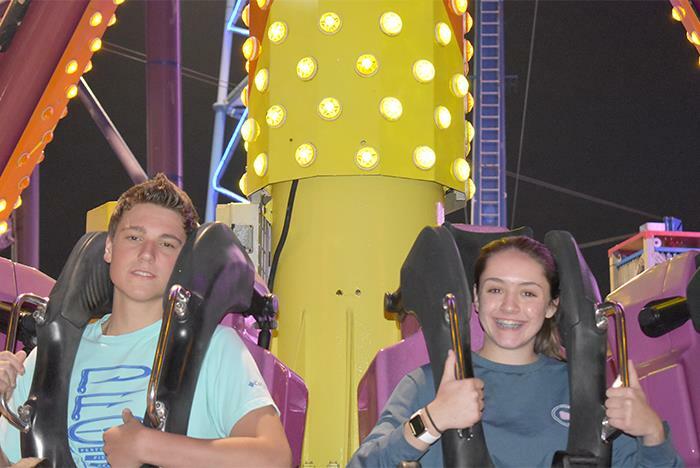 Ride all 3 rides at the Free Fall Thrill Park: Airstrike, Sun Dance, and Sky Fall. What are the height requirements for the rides? Where are the rides located? 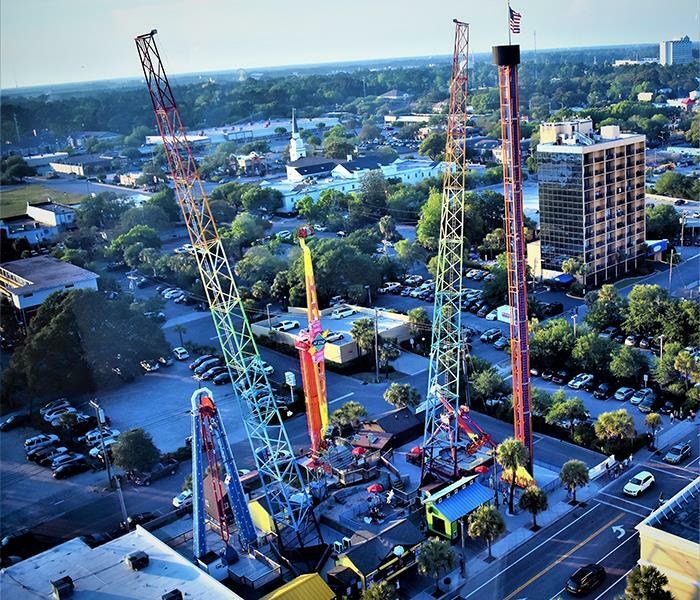 Rides are located at 3rd Ave. South and Ocean Blvd, Myrtle Beach, SC 29577, next to Family Kingdom Amusement Park. Yes. On-site parking is offered. Contact us for support or help booking your trip at 1-855-271-6629.